We have got our hands on quite a large boat, and we’re loading it up with some ace groups for a four-day sail round The Med. Welcome to The Boaty Weekender: our new take on a true classic, The Bowlie Weekender. 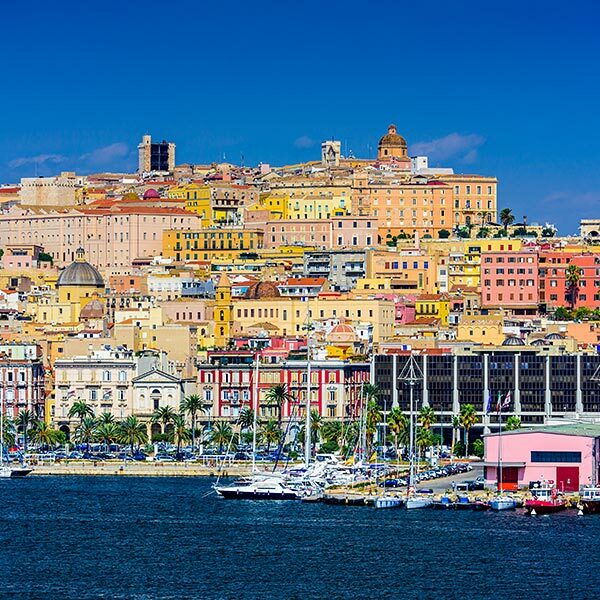 Join us August 8 – 12, 2019 on the beautiful Norwegian Jade as we depart from Barcelona and make our way to Cagliari, Sardinia to spend some time on dry land with you beautiful groovers. We want to do it right. Let’s have yoga and cocktails and club nights and themed balls and crèches and quizzes and scrabble tournaments – and gigs. 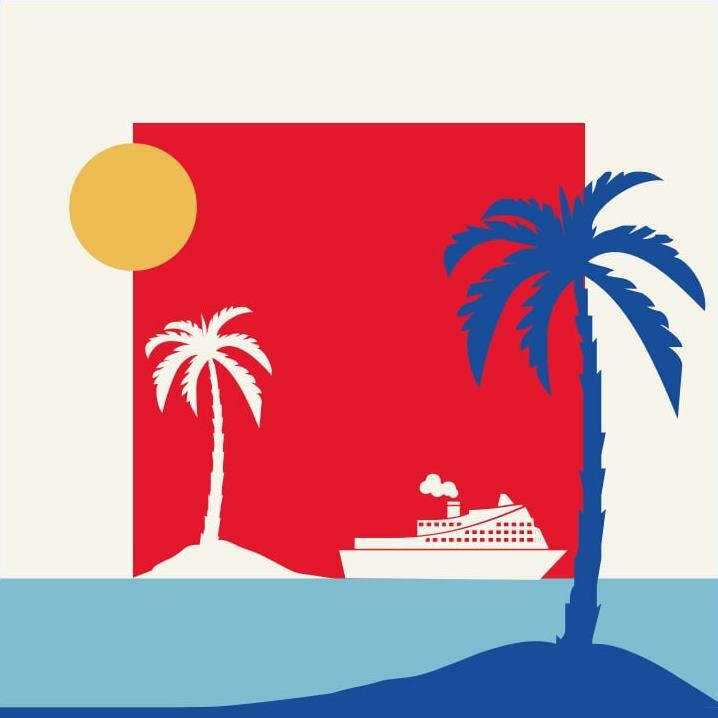 Gigs upon gigs from some of our good friends and favourite acts in rock ‘n’ roll on five stages throughout the ship – and instead of stumbling home to a damp tent in a dark field, saunter back to the comfort of a clean bed in your own stateroom on a luxury liner. The capital of Catalonia, and one of its provinces, Barcelona, is a place of palpable history where you can lose yourself strolling down the medieval streets of the Barri Gotic. It’s a city designed to delight the senses. Visit other-worldly Modernista churches like Gaudi’s La Sagrada Familia, or treat yourself to Patatas Bravas or a sangria at a street side cafe. 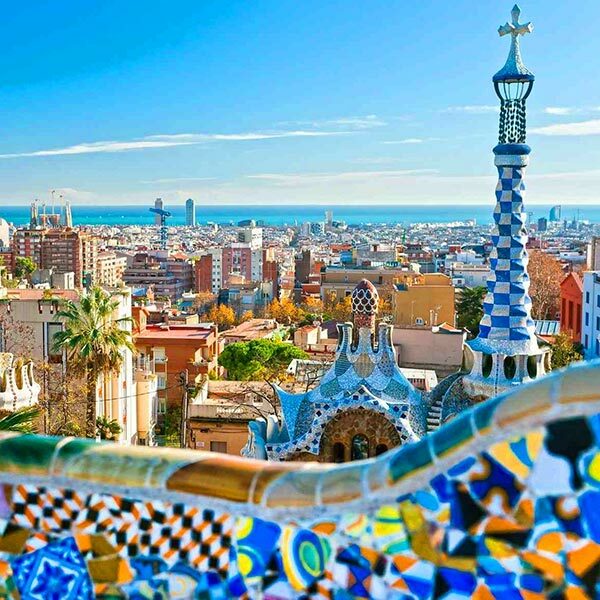 A destination of her own, Barcelona will serve as the perfect launching pad for four days of beautiful music on The Med. Belle and Sebastian are curating a wonderful lineup with some of their favorite artists to join them for this adventure at sea! You can expect artist announcements throughout the year to round out this floating music festival, so count on your days to be filled with numerous shows, activities, and more. Add $248 per person for taxes and fees. As we sail through the Mediterranean, enjoy everything Norwegian Jade has to offer. With multiple bars & lounges, delicious dining options, a massive spa, pool, hot tubs, fitness center, and a casino all on board, your cruise experience can’t be beat! “I Will Survive” was recorded in 1978, as Gloria Gaynor’s tale of personal strength and was soon to become the greatest disco anthem of all time. (Gloria was in a back brace when this song was recorded!) In 1979, “I Will Survive” climbed to the top of Billboard’s Pop Charts and claimed the #1 position on two different occasions. Little did Gloria know, the song would grow into the banner for social survival which is still relevant after three decades of international airplay. This year marks the 30th Anniversary of the song which itself has survived in various forms and has been re-recorded over 200 times by various artists such as Gladys Knight, Chantay Moore, Diana Ross and Cake. She was only 19 when she signed her first record contract with Columbia Records, and in 1975, Gloria made history when Billboard gave birth to the “Disco Action Charts.‟ Gaynor’s version of “Never Can Say Good-Bye” became the first Dance Song to reach #1 status in dance music, in 1980, “I Will Survive” won the Grammy for Best Disco Song and, in 1984, Gloria recorded “I Am What I Am,” which reached the Top 10 on Billboard’s Dance Disco Hits. Now, more than 30 years later, Gloria continues to set the standard, and her popularity continues to flourish into the new millennium. 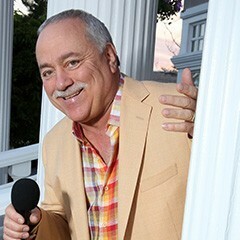 In March of 2001, “Just Keep Thinkin’ About You,” topped the Billboard Dance/Club Charts at #1, while Gloria’s international hit “Last Night” with Giorgio Moroder debuted at #1 throughout Europe. Gaynor was also the first artist to record an album especially for clubs, and the first to do a mega-extended dance medley party mix, releasing 12″ dance singles that are now high-end collector’s items. In 2002, Logic Records/BMG released the highly anticipated U.S. LP entitled “I Wish You Love.” That was her first worldwide release in 15 years. It gave birth to 4 #1 dance singles on Billboard’s Dance Charts and “I Never Knew” (radio version) made the top ten on Billboard’s Adult Contemporary Charts. She also recorded a new version of “I Will Survive” in Spanglish, recorded live in Brazil. During the same year, she was honored at the World Music Awards in Monte Carlo with the coveted LEGEND award presented by longtime fan Prince Albert and was the featured artist in the Tom Ford Tribute hosted by Tom and Rita Hanks. Gaynor made a splash on Broadway in the longest running musical revue, “Smokey Joe’s Café,” and on national TV, as a guest star on such popular programs as “That ‘70s Show,” “Ally McBeal,” “The Wayans Brothers’ Show,” “Don’t Forget The Lyrics,” and more, introducing her to a whole new generation of fans. In between Gloria’s busy touring and personal appearance schedule, she managed to pen an autobiography, appropriately entitled, “I Will Survive” (St. Martin’s Press) which offers the reader a revealing insight into the artist’s exciting yet somewhat turbulent life. Additionally, Ms. Gaynor lends her support to numerous charities including the Susan G. Komen Breast Cancer Foundation (North Jersey Affiliate), the Hellenic Times Foundation, The Revlon Walk For Women and the Christian Broadcasting Network. Ms. Gaynor is a member of the United Cerebral Palsy Hudson County Board of Directors, financially supports Save the Children, sponsors three children through the Christian Children’s Fund, is a Chair holder for the New Jersey Crime Victims’ Law Center, was 2008 Honorary Chair for the New York Diabetes Association and supports Denise Rich’s Angel Ball, a foundation for Melanoma research. More recently, Gaynor participated in the Mandela Day Celebration at Radio City Music Hall where she performed “I Will Survive” and “Oh Happy Day” with the Soweto Gospel Choir to honor Nelson Mandela’s 91st birthday. Stevie Wonder, Aretha Franklin, Alicia Keys and many other artists also graced the stage. 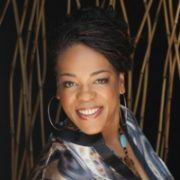 A day “intended to call on and awaken each person’s individual power to promote positive change with small actions,” says Gaynor, “”I Will Survive,” should remind us to be proactive in this world. In trying times, people are always looking for answers and direction of what to do and where to go next. So is it really so hard to believe that “I Will Survive” has more relevance now than it did in 1979? Through this song, we can relate to a woman who has faced the same struggles and summoned the strength to rise above and survive”. Village People is one of the most iconic music groups in the world. For 40 years, the music of Village People has put a smile on the faces of fans all around the world. Their hits have become part of the international songbook and heard across the globe in commercials from Pepsi to Wonderful Pistachios. 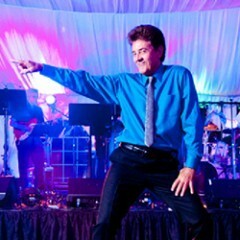 In fact, Y.M.C.A (along with its dance) is featured at almost every party, wedding, bar mitzvah, and sporting event. It began in 1977 when producer/composer Jacques Morali, along with business partner Henri Belolo, were recording a new album for their group, Ritchie Family, called African Queens. One of the background singers recruited for the album by arranger and conductor Horace Ott was Victor Willis who was performing in the Broadway musical The Wiz. After completing the album, MoraIi approached Willis – this time about another musical project they were planning. “I had a dream that you sang lead vocals on an album I produced, and it went very, very big,” MoraIi told Willis. “I have four tracks. I can’t pay you much right now but if you agree, I’ll make you a star.” Willis agreed. Those four tracks, San Francisco (You’ve Got’Me}, In Hollywood (Everyone’s a Star), Fire Island, and Village People were recorded by Willis with professional background singers and released on the debut album Village People in 1977. Initially Village People was simply Victor Willis. The album quickly rose to the top of the dance charts. Demand for the “Village People” to appear in concert and on television shows like American Bandstand and Merv Griffin was great. The only problem … “Village People” was Victor Willis! This forced Morali, Belolo and Willis to put together an actual group … and quick. One Halloween day, Morali and Belolo had met a guy dressed as a Native American. They eventually recruited him. Willis brought in an actor he’d worked with in a play. They then placed an ad in a trade paper which read: Macho Types Wanted — Must Dance and Have a Moustache. A cowboy, leatherman and construction worker answered the call, and the “all-star” lineup was in place. Village People become an international phenomenon with the release of their second album, Macho Man. They quickly followed with their third album, the double platinum Cruisin, and embarked on a blockbuster worldwide tour. With hits like San Francisco/In Hollywood, Macho Man, YMCA, In the Navy and Go West, the group sold more than 100 million records worldwide and earned many awards including the American Music Award-Favorite Musical Group 1979. Village People were featured on the cover of Rolling Stone. After Willis left, the group starred in the 1980 movie Can’t Stop the Music. Willis wrote the lyrics to some of its most memorable tunes, Magic Night and Milk Shake. Village People hits are featured in dozens of major motion pictures, including Despicable Me 2. The Broadway hit Priscilla: Queen of the Desert features the Village People tune Go West. Their hits are also heard in casinos around the world in “Village People Party” slot machines. In September 2008, the group received a star on the Hollywood Walk of Fame. Over the years, various renditions of Village People have consistently toured the world with replacement lead singers Py Douglas, Miles Jaye, Ray Stephens, and Ray Simpson who performed the longest. Other former members include Glenn Hughes (leatherman), Felipe Rose (Native American), Randy Jones (cowboy), David Hodo (construction worker), Alexander Briley (G.1. ), and Jeff Olson (Cowboy). 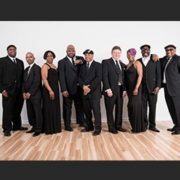 On the 40th anniversary of the group, the soulful voice of original lead singer Victor Willis will once again thrill concert-goers. With Victor back at the helm, fans can count on a live band and world-class Village People performance. Village People is: Victor Willis (Cop/Admiral), Angel Morales (Native American), James Kwong (Construction Worker), Chad Freeman (Cowboy), Sonny Earl (G.1. ), and Josh Cartier (Leatherman). The story of Tavares is the inspirational tale of a band of young brothers bound not only by blood, prodigious talent, and a rich musical legacy, but by a fierce determination to succeed in the music business. 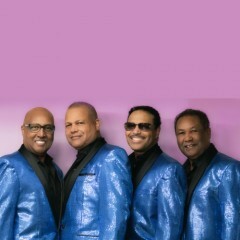 Over two decades, the Tavares Brothers managed to place 8 singles on Billboard’s Top 40, 12 Singles on the R&B Top 10 Chart (Including three #1 records), 3 Dance Chart Hits (1 at #3 and 2 at #1), 10 Hit Albums, and won a Grammy Award for their work on the soundtrack to Saturday Night Fever, (Recently certified 15 times Platinum). Although most resources refer to Tavares as a New Bedford, Massachusetts band and it is well known that the family lived in Southeastern Massachusetts at different times, it is equally well known that they spent a great deal of their early years in the Fox Point and South Providence neighborhoods of Providence, RI. The Tavares Brothers started performing in 1959 as Chubby and The Turnpikes when the youngest brother was 9. P-Funk keyboardist/architect Bernie Worrell briefly joined the group in 1968 while attending the New England Conservatory Of Music. Future Aerosmith Drummer Joey Kramer appeared as the “token white-guy drummer” in a later incarnation called The Turnpikes from the Fall of 1969 until September 1970, when he was invited to join Aerosmith. Chubby and The Turnpikes signed with Capitol Records in 1967 and had a couple of local hit records including “I Know The Inside Story” in 1967 and “Nothing But Promises” in 1968. By 1973, they had changed their name to Tavares and scored their first R&B Top 10 (Pop Top 40) hit with “Check It Out”, (produced by old friend Robert “Boogie” Bowles) and soon began charting regularly on the R&B and Pop Charts. Their first album included their brother Victor, who sang lead on “Check It Out”, but dropped out of the group shortly afterward. In 1974, Tavares had a #1 R&B Hit with Hall & Oates’s “She’s Gone”, (which became a hit for Hall & Oates as well two years later). Tavares followed up that success with “Remember What I Told You To Forget”. Another old friend, Brian Panella had left Capitol Records and started his own management company and became the groups manager. 1975 turned out to be their most successful year chart wise, with a Top 40 Pop Album (In The City) and their biggest hit, the Top 10 Pop/#1 R&B smash “It Only Takes a Minute”, which was later successfully covered by both Jonathan King and Take That, and sampled by Jennifer Lopez. They parlayed this success into a spot as an opening act for The Jackson 5. KC and The Sunshine Band was also on this tour.. “It Only Takes a Minute” was followed by a string of hits: “Heaven Must Be Missing An Angel” (1976), “Don’t Take Away The Music” (1976), and “Whodunnit” (1977, another #1 R&B Hit). In 1977 they also recorded “I Wanna See You Soon”, a duet with Capitol labelmate Freda Payne which received airplay on BBC Radio 1 but failed to chart. 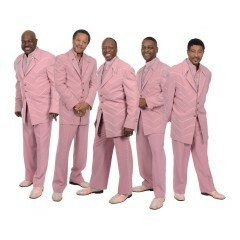 Many of their hits, however, underplayed their R&B background and gave the the group the image of being a Disco Act. This perception was reinforced by their appearance on the soundtrack to the film Saturday Night Fever in 1977. 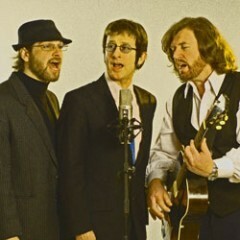 Tavares recorded the Bee Gees song “More Than A Woman”, and their version reached the Pop Top 40 that year. The soundtrack became one of the most successful in history, earning Tavares their only Grammy. Later albums such a Madam Butterfly and Supercharged, strayed from the Disco format and were less successful on the Pop Chart (although they continued to have Top 10 R&B Hits such as “Never Had a Love Like This Before” and the popular sociopolitical “Bad Times” written by British singer songwriter Gerard McMahon. At the start of the 1980’s, Tavares left Capitol Records, signing with RCA. They had one last major hit, the ballad “A Penny For Your Thoughts”, for which they were nominated for a Grammy in 1982; their last major release was “Words and Music” in 1983. The family Patriarch and father of all members of Tavares, Musician Feliciano “Flash” Tavares sadly passed away in 2008. 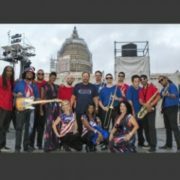 On May 3, 2014, Tavares performed a concert in their hometown of Providence, Rhode Island and the following day were inducted into the Rhode Island Music Hall of Fame. Along with Ralph, Chubby, Pooch, Butch and Tiny, brothers John and Victor were also honored for their contributions during the group’s formative years. Today,Tavares (Butch, Chubby, Tiny and Ralph) continues to tour the world and on April 16, 2017, they performed on the CBS Television Special “Stayin Alive, A musical salute to the music of The Bee Gee’s”, dueting with R&B star Jason Derulo on “More Than a Woman”. Alfa Anderson, Luci Martin and Norma Jean Wright, first came to national attention as the original lead vocalists of the powerhouse multi-platinum recording group Chic. Alongside producers Nile Rodgers and Bernard Edwards, with drummer Tony Thompson these legendary ladies delivered style, sophistication and soul, and made Chic synonymous with infectious hooks and timeless grooves. 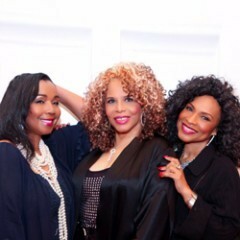 Throughout the ’70s and ’80s, Alfa, Luci, and Norma Jean also lent background vocals to the CHIC Organization’s high profile productions for a number of artists. Alfa and Norma sang on the Grammy-nominated title track to We Are Family (1979) by Sister Sledge, which instantly became a worldwide anthem. Before singing on I Love My Lady (1981) by Johnny Mathis, Alfa and Luci contributed vocals to Diana Ross’ number one R&B album diana (1980). Following their tenure in CHIC, each of these ladies worked with an array of music icons including Aretha Franklin, Mick Jagger, Madonna, Bryan Adams, Melba Moore, and Bryan Ferry. 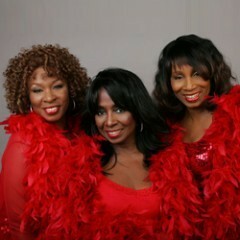 Alfa toured with Luther Vandross and founded Voices of Shalom while Luci and Norma formed a duo and brought disco hits to new generations of listeners. Parallel to each vocalist’s many creative pursuits, CHIC’s seminal contributions to popular music were recognized by some of the music industry’s most prestigious organizations, including several nominations for the Rock & Roll Hall of Fame. Today Alfa, Luci, and Norma Jean performs throughout the world, and their sound takes you back to the era of Studio 54, when dancing was a way of life or it simply reminds you that “good music like good times”, should last forever. I’m Going Down” and Beyonce covered Wishing on a Star * many other artist have also cover our Mega hit recordings. 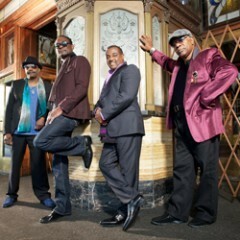 Dazzling audiences worldwide, Rose Royce currently tours the United States as well as Europe, Japan and Australia. 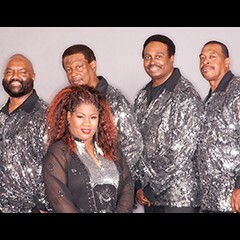 Rose Royce has played too many standing room only crowds all over the world. ROSE ROYCE sound track for the Hit Movie CAR WASH … put ROSE ROYCE on the map and the rest is history. 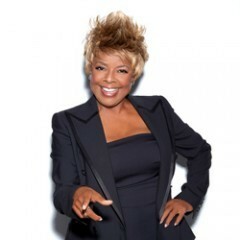 After 47 years of performing, Thelma Houston continues to celebrate her long and outstanding career and shows no signs of slowing down! 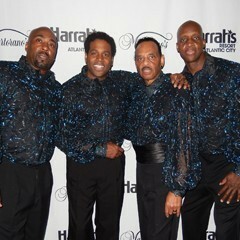 Originally hailing from Philadelphia, Earl Young, Ron Baker and Norman Harris formed THE TRAMMPS in 1972. From that time forward, their unique blend of pulsating beats, catchy melodies and vocal harmonies embodied the essence of a style that grew to define an era. Known as “The Group” to dance music devotees, THE TRAMMPS had three smash singles with Buddah Records, including “Zing Went The Strings Of My Heart” (Buddah, 1972, single), long before that label ever released an LP. It was only after the huge success of “Where Do We Go From Here” (Golden Fleece/Columbia, 1976), which scored big with its title track, that Buddah finally heard the cry and THE TRAMMPS’ “Legendary Zing Album” (Buddah), was released in 1976. It included their earlier hits “Zing Went The Strings Of My Heart,” “Pray All You Sinners” and “Sixty Minute Man,” as well as the previously unreleased “Hold Back The Night,” which went on to become one of the group’s biggest hits. These LP’s would prove to be the first of many top selling and award winning albums for THE TRAMMPS, long considered the “best disco group” of all time! “Where The Happy People Go” was their first LP release for Atlantic (1976). It contained the hits “Disco Party,” “Hooked For Life” and “Soul Searchin’ Time.” The album was showered with honors: Best Disco Album, Best Disco Artist, Best Disco Single and Best Disco Single Unreleased (Billboard,1976). THE TRAMMPS were now at the top of their form. They continued to keep up a busy recording schedule while fast becoming one of the most sought after touring acts of the period. Their next release, “Disco Inferno,” (Atlantic, 1977) put THE TRAMMPS over the top, earning them their first gold. The title track (of the same name) emerged as the disco party anthem of the 70’s. Keeping with the times, Paramount Pictures produced Saturday Night Fever (1978), the ultimate narrative of the disco era. The film would not have been complete without John Travolta, a white suit, THE TRAMMPS and “Disco Inferno” (RSO Records, Soundtrack, 1978). The soundtrack brought the group a Grammy (Best Album) and went on to become one of the top ten best selling albums, best selling soundtracks and the #1 best selling double album in music history. THE TRAMMPS are enjoying the re-release of “Disco Inferno” on compilation albums. It can also be heard in the feature films “Ghostbusters,” “What’s Love Got To Do With It,” “Carlito’s Way,” and “Kingpin,” among others. In the late 1970’s, MUSIQUE emerged after having received immediate world wide recognition as one of the most exciting female vocal groups of Disco, Dance and Pop Music. MUSIOUE has performed all over the world to audiences who have fallen in love with their songs, their style and their phrasing. In Caracas, Venezuela at The Poledra 20,000 fans joined them in singing their songs “Summer Love,” and “Keep On Jumpin'”. Their first hit tune “In the Bush” was number one for a full year on the charts in Brazil and Venezuela. At The Roberto Clemente Stadium in Puerto Rico, MUSIQUE starred with Willie Colon and Tito Puente. The Trio is known for some of the most successful world tours in the past 20 years, performing in such places as Korea, Japan, Singapore, The Philippines, Germany, Ecuador, England, Switzerland, Austria, Nigeria, Italy and France. MUSIQUE’s fame has brought them many invited appearances on television all over the world, one of which was their very own one hour television special filmed in Mexico City and produced by Talevisa S.A.
Today, MUSIQUE enjoys more success and recognition than ever before. At the Paramount-Madison Square Garden, WPLJ Seventies Dance Party in New York City MUSIQUE played to two sold out shows, and was honored with having a total of 11,000 people giving them a standing ovation. MUSIQUE’s lead singer Mary Seymour is the force that drives the group. 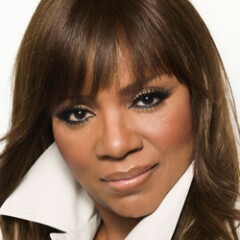 Mary was also a featured vocalist with the Atlantic Records recording group Change, made famous by Luther Vandross. The album, “Glow of Love” was another to receive a one million RIAA Certified Gold Record. Again, Mary helped to create one of the most exciting performing acts in musical history when Change co-starred with Rick James on his 1981 tour of the United States. On Broadway she was a featured singer in the Musical “HAIR” at the Biltmore Theater, and she also starred in the Tony Award Winning Broadway Musical at the Lunt Fontaine Theater, “Raisin” in the role of Ruth Younger. Off Broadway, in 1990 she was featured as a surprise guest artist in the playt “Forbidden Planet.” Additionally, Mary Seymour has many times demonstrated her live performance abilities in such entertainment capitals as The Convention Center, The Aladdin Hotel in Las Vegas Nevada, Trop World in Atlantic City, La Bourcella of Via Reggio, Italy and Number One in Porto Fino Italy. At age 15, Evelyn’s big break came in storybook fashion. Legend has it she was working, subbing for her sister as a cleaning woman at Philadelphia’s Sigma Studios, and singing “A Change Is Gonna Come. ”Well known producer, singer, songwriter, for many Artist in Philadelphia and member of the group “Spiritual Concept T. (Theodore) Life,” heard her singing. T. Life decided to sign her to his own production deal , and then introduced her to songwriters John Fitch & Ruben Cross when the magic happened. Then introduced to RCA Records Warren Schatz & Nancy Jeffries. Where she then was signed to a contract deal, and produced her first album Smooth Talk. The album included the disco dance smash hit “Shame.” She earned some notoriety as a teenager singing adult-themed songs in an adult-sounding voice, then Evelyn was on her way. The follow-up, “I Don’t Know If It’s Right” was a major mid-tempo R&B hit. Evelyn had only minor success through the end of the 1970’s, but she began working with former B.T. Express member Kashif, who also had a partner Paul Laurence as they teamed up to work with her. The result in 1981 was “I’m in Love,” a #1 dance hit. She followed up with the Get Loose album in 1982 and another smash, the classic anthem “Love Come Down.” Kashif maintained an open, uncluttered production style that let Evelyn’s strong, rich voice shined through. King’s 1995 album The Girl Next Door is a celebration of this philosophy: a spirited, ear-opening 10-song platter that is all Evelyn. Produced by such luminaries as Leon Silver III and Gene Dozier, Nayan, Ten City, Marshall Jefferson, and her brother Johnny King, The Girl Next Door deftly showcases the versatile musical and vocal talent that has kept the artist among the most important female vocalists of the past decade. Recall, if you will, the first time you heard “Love Come Down” from 1982’s Get Loose, or 1985’s So Romantic, which featured the hit “Your Personal Touch.” Compare them to Evelyn’s ground-breaking single and album from 1981, “I’m In Love” or the Top 10 “Hold On To What You’ve Got” and “Kisses Don’t Lie” from Flirt. That one ingredient that has not changed is Evelyn’s emotion-textured vocal gift. It is Evelyn’s range and energetic delivery that continues to make every song she selects to record that much more exciting, that much more dynamic. Without issue Evelyn “Champagne” King has continued to enjoy success over time. Hers is a name that commands respect within the industry, a name which has remained prominent in the Pop, Club and R&B arenas since the artist burst onto the music scene what seems a short time ago. King made her dramatic introduction with 1978’s Top 10 crossover classic “Shame” off her Gold-plus debut album Smooth Talk. Few are the music enthusiasts who can recall that tune without finding themselves humming or singing its profoundly catchy chorus. “Shame” was an exciting taste of things to come from an artist on her way to superstardom. Evelyn has since received a,”Dance Music Hall Of Fame Award” in 2004, “Living Legend Award in 2007, and countless Outstanding Achievement Awards for the work she continues to do in the music world. 2011 Evelyn continued to record some new material along with some TV specials and a collaboration with World renown House DJ and Remixer, Producer Miguel Migs. Today Evelyn continues to tour and please her fans around the world and is back in the studio to release yet another fan pleasing record.